Between the 4th of June to the 12th of June we went on our Miss Universe Retreat to Thailand. This was my second trip to Thailand as I went to Krabi at the start of this year. I always love going to Thailand becuase of the food, people and the amazing places that you can visit. As a Muslim, sometimes it's difficult to find halal food to eat but Krabi has a Muslim majority but alhamdullillah, the organisers and our 'travel agent' made sure to provide me halal food while I was at Bangkok and Pattaya. And let me tell you, contrary to pagaent girls being on a strict diet, we were really well fed during the retreat. Going on this retreat was like no other trip that I went on. It was just honestly one of the most amazing experiences of my life. I experienced things that I have never done before or was on my 'bucket list'. From cruising on a yact with a squad of girls to cuddling up a baby tiger, the whole trip was just an once-in-a-lifetime experience. (There is a zero drug tolerance with the Tiger park that we went to and all tigers are treated kindly). During our stay at Bangkok we stayed at the luxurious Pathumwan Princess Hotel. This hotel was really convieniet because it was next to the legendary mega MBK mall where there is an entrance from the hotel. While in Pattaya we stayed at The Hard Rock Hotel which was awesome as I have always wanted to stay at one and it was opposite to the beach. The three highlights from the Retreat was getting to know all the other contestants better, watching The Kaan Show Live and going to a Floating Market at Pattaya. The more I gotten to know all the other contestants, the more grateful I feel to have crossed paths with an amazing group of girls. They are honestly so lovely and respectful where we all lift each other up as women. There was absolutley no drama and I got along with everyone of them. I think that they are a fantastic example to how every girl should be. Although it is a competition for the title, I know that each and everyone of us are rooting for one another and that even when the journey ends, we will all remain good friends. Another highlight was going back-stage and watching The Kaan Show Live. It's a circus perfomance with a story about finding the missing pieces for a key, where not one word was spoken. But let me tell you, I was blown away the whole time. I have never seen anything like it before and it is definietely a show that you must watch while you are in Pattaya. I absolutely loved watching it as it was just one of those unique experiences. My third highlight would be going to the Floating Markets in Pattaya. It is the best market I have been to because firstly, you get to experience what a floating market is like and secondly, the prices are fixed so you know that the vendors are not charging you more than it should be. But although it is fixed, you can still barter the price to be cheaper and it's such a fun thing to do. Ever since I was named a finalist I don't remember a day where I am not grateful to be a part of it. It truly has been an amazing experience and the retreat goes to show for it. There is only less than two weeks left until the Grand finals. I've been missing the girls but next week I will be reunited with them and I am so excited to see them again. 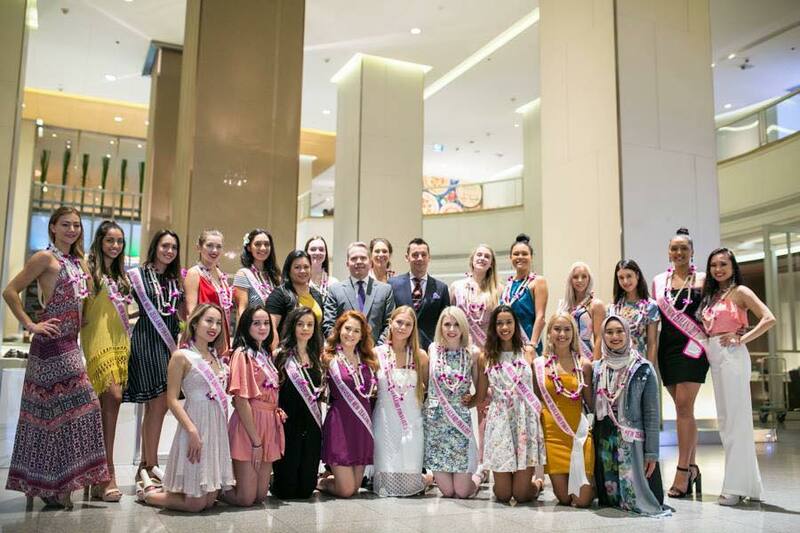 I love being part of the Miss Universe New Zealand journey, as it has given me so many opportunities and I've experienced so many amazing things, as well as living my dream of inspiring young girls to love themselves and be the best that they can be. Nonetheless, it was a full on eight days from the moment we touched down in Thailand until we left to go back to New Zealand. Below are the mini-episodes from our retreat which shows what we got up to. I was interviewed in the first video about my calendar swimsuit photoshoot and going viral, but I am also feautred in parts of the second video too. 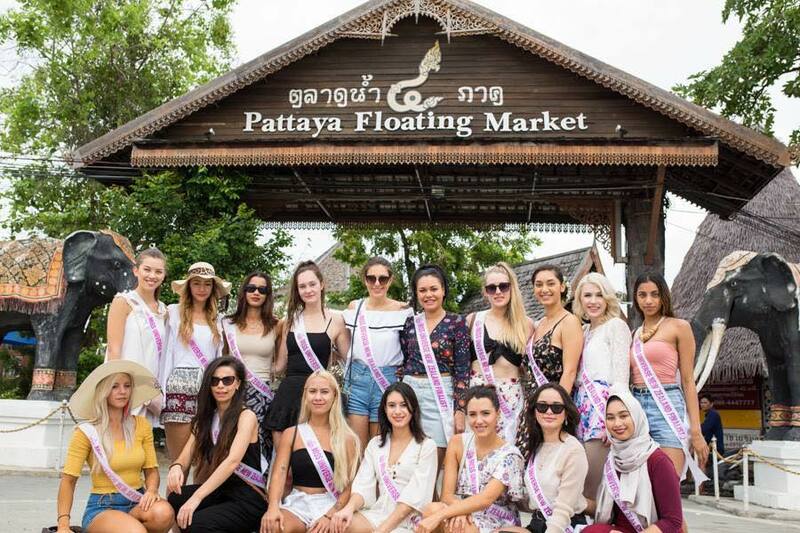 Our first four days in Thailand-share and enjoy the Miss Universe NZ finalists' retreat! Which is your favourite destination among the first four days? The second leg of the finalists' retreat in Thailand-share and enjoy! Which is your favourite destination among the second four days?